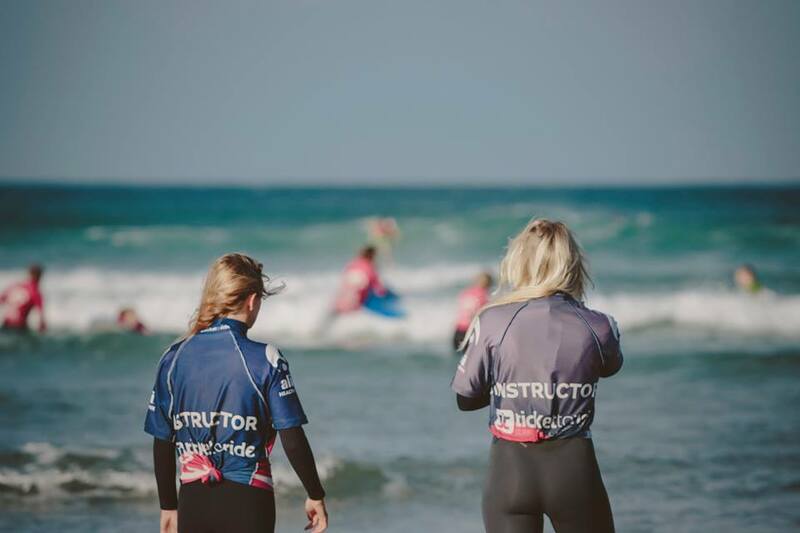 Being a Surf Instructor is something that all members of our team and Ticket to Ride Perranporth feel proud to call their job. The pure stoke of sharing our passion with others and the time we get to spend outside are some of the reasons why we see our surf instructors return year on year. 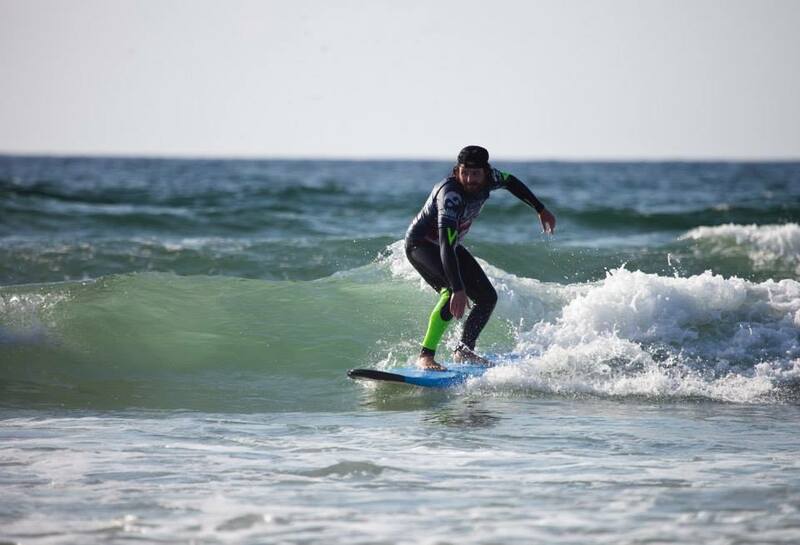 If you’re pondering on whether to do a Surf Instructor Course or not here are a few pros and cons to take into consideration through the eyes of our instructors. You know you’ve got it good when you can call the beach your office and you’re breathing in the fresh sea air all day. That’s one of the selling points that attracts people to this job, stuck in an office 9-5 seems very unappealing when you can be lapping up the sun, sea and surf all day, whilst getting paid! Indeed. When you’re outside all day you’re going to be getting a good bit of colour on those cheeks. Many of our instructors make use of their qualifications by living the dream all year round! Our head coach Josh spends his winters working for Ticket to Ride in Sri Lanka and Spain. Newcomer Chris recently hit up Costa Rica for the winter. Lily Foulkes, combined travelling with the surf instructor course when she went on the Ticket to Ride trip to South Africa. she then went on to work in Nicaragua at a girls surf camp. Check out Lily’s awesome journey here. Our surf school in Perranporth is right on the beach meaning we can dip in and out of the water as much as well like. The time you get surfing is unreal, you can pop out on a lunch break, after work or if you’re really frothing for it, hit up the dawn patrol. One of the prime roles of a surf instructor is to get people stoked on surfing. Easier said than done. It can be a tad disheartening when there are folks in your lesson who just don’t quite get it. Even after trying 3 different pop ups, pushing them into copious amounts of waves and giving philosophical pep talks. However, perseverance pays off and when matey finally gets standing and has a smile on his face as bright as those yellow swellies, you know he’s been hit with that surfing stoke and the best thing is you get to share that stoke with him. Sharing the love of surfing with others is why we’re here. Being part of a surf school means unlimited access to a range of foamies and by the end of the season an 8ft swellie with be your go to b0ard! Good times guaranteed everytime! Not going to lie, when people ask you what you do and you say you’re a surf instructor, you do feel pretty rad. Especially when you get to lay all your surf jargon on a landlocked fitty who doesn’t even know what you’re on about but is still very impressed. Enough said. If you’ve ever listened to Baz Luhrmans song Sunscreen, trust me he’s serious about it and so are we. By the end of a season you will look sufficiently frazzled. Following on nicely from sunburn are the wonderful poo tans that go with it (Basically where you face is 50 shades darker than the rest of you). The truth is when you’re spending 4hours+ a day in a wetsuit you’re going to get some interesting tan lines on your body. They dont look great in your selfies, but hey at least everyone knows you’re a surf instructor. Wear them with pride guys. There is something a little disheartening watching your mate catch a bomb outback when you’re stuck on the inside acting as part of the nosediving prevention squad. Truth is that there are going to be times when its pumping and you’re teaching but if anything that just fires us up to get out there as soon as the lessons done. Also we strongly advise not weeing in your suit but sometimes it just cant be helped. So hopefully this persuades you to do the right thing, take a surf instructor course with us and have the best job in the world. For dates and prices for our Instructor Courses in Cornwall click here or give us a call on 01872 888 480. 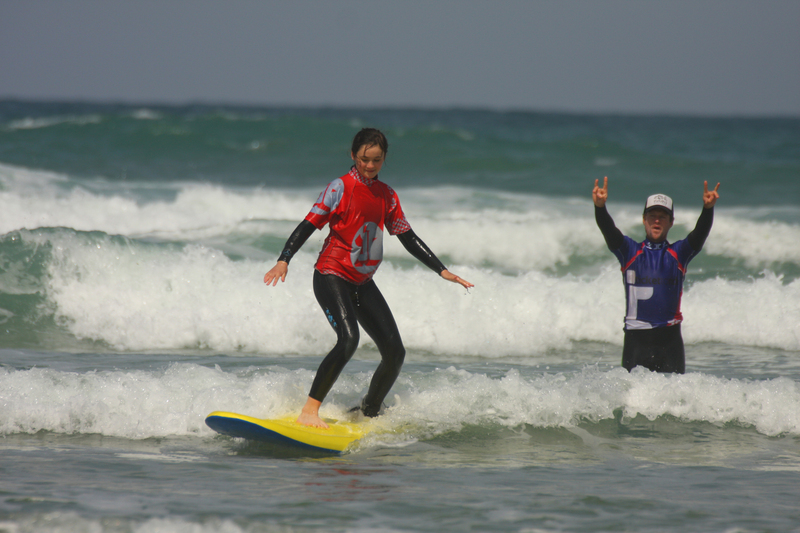 This entry was posted in Perranporth, Surf Course, Surf School, surf travel, Surfing England and tagged Instructor courses, surf instructor. Bookmark the permalink.